The left has historically concerned itself with language and its use, given the need to engage in agitation and propaganda. Some of our efforts in trying to improve our communication strategies are, deservedly or not, classics of the genre, such as Orwell’s Politics and the English Language.1 This won’t be the last attempt to intervene, and in fact its existence is largely due to previous and entirely well-intentioned attempts to shift the way the left speaks to itself and others. It will inevitably contain its own errors and excesses, but it’s a necessary part of the conversation. This article will focus on communication not only as a means to spread our ideas to those who don’t share them, but as a way to improve them through dialogue, to learn from other comrades, and to help in building organisations. Different people, of diverse conditions (class, gender…) can use language to transmit ideas to each other, not necessarily with perfect fidelity, but well enough to understand and make oneself understood. This also presupposes the existence of social facts (intersubjectivity). We want to engage with other people both for the purposes of spreading the left’s ideas and programme, but also in order to engage in dialogue with different views, enhancing our understanding and the scope of our positions through synthesis and consensus whenever possible. Talking to others, we expect that interlocutors can justify their positions through argument, and that there are better and worse justifications for views. Consensus on the facts is possible when people communicate honestly, in spite of their potential conflicting interests. Whether objective (external to persons), intersubjective (created by the relations between persons), or subjective (existing within the person), it is possible to share and to understand knowledge gained and presented by other people, even across differences in experience. This understanding doesn’t have to be complete, but sufficient to operate on. These premises refer to communication in its primary facet of transmitting information between agents. This is not the only role of communication, however. Human communication is an embodied activity involving social agents, not merely an informational transaction between atomic ideal individuals. Expressive acts have a performative, active dimension, which is of special relevance in determining the boundaries of communities, policing acceptable behaviour, distinguishing allies from adversaries, and generally establishing the necessary prerequisites of human relations which permit and underlie dialectical commitments.3 This work is primarily focused on the informational, non-performative aspects of communication, although occasional references to non-informational concerns will be made. Additionally, it’s important to remark that the object of this article is not to create a new orthodox language, or to package a recipe for argumentation–an infeasible project. This is not said from a reflexive hatred of orthodoxy, but from the recognition that communication is contextual, and that many different tactics are effective in different circumstances. 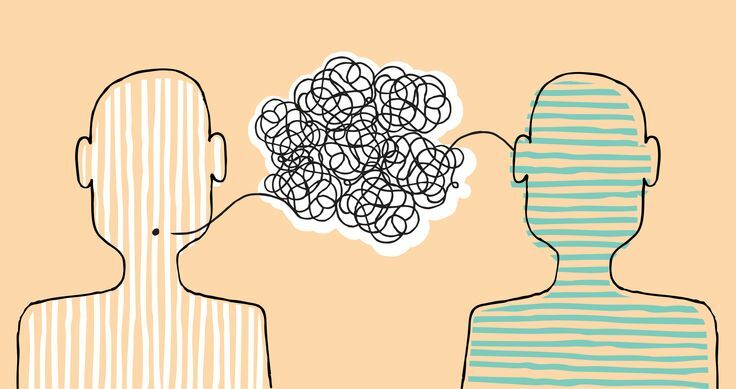 Considerations on this article are meant to get people to reflect on their own communication style. In order to communicate effectively it’s necessary to use language that is shared by everyone involved. This is obvious enough that most people on the left no longer sound like a bad fragment out of a 1930s Trotsky tract. Certain situations call for the use of technical terms, and such jargon can itself enhance communication and clarity. If we had to build the notion of relative surplus value or organic composition of capital from ordinary language every time, this would make us less, and not more effective. Technical terms shouldn’t be used for any other reason than accurate and concise communication, though; not as an ideological or caste marker of sorts. While this can be useful in drawing an insider/outsider distinction in specific communities, the exclusionary effects and misunderstandings that result are generally not worth it. Conversely, there’s no need to make a fetish out of avoiding such terms at all costs, or limiting oneself to short direct sentences. Form should follow function. In order to clarify this article, we will insert some examples of the practices we’re referring to, but consider that everyone is likely to have committed them at some point, so no special censure should be inferred. Example: jargon, redundancy, and florid style on WSWS. Imperialist war cannot be halted by protests and pleas to the ruling elites. A genuine fight against the drive to war is indissolubly bound up with the independent mobilisation of the working class in the struggle for socialism to abolish the capitalist system, which is the underlying cause of imperialist rivalry and conflict. The Greens, whose party is rooted in the defence of the profit system, are organically hostile to such a perspective and seek to prevent it at all costs. We can’t stop the wars on the poor by asking nicely. An effective anti-war movement requires workers themselves to fight for an end to capitalism, the cause for the power struggles of the rich. The Greens defend the market, so they cannot fulfil this role and will take an opposing position. Eliminate redundancy: “protests and pleas”, “the struggle for socialism to abolish the capitalist system”. remove needless jargon: “imperialism”, “organically”. Remove unproductive qualifiers: “ruling elite”, “genuine fight”, “indissolubly bound”, “drive to war”. General simplification of sentence structure: <"The Greens, whose party is rooted in the defence of the profit system defend the market“. Note that we have chosen a relatively straightforward style. This is not to say that other styles are not possible, or productive, but we’re assuming the piece is written for general agitation. No theoretical nuance is lost in this transformation, although the revision lacks the pedantic tone4 in the original. Example: simplistic style on SW. The government closed schools across three districts due to the protests. But it said that secondary schools would reopen this Monday, but not primary schools and kindergartens. The government closed schools in three districts due to the protests, while pledging to reopen secondary schools this Monday, though not kindergartens or primary schools. This is almost the polar opposite: what should be a single sentence is split into two different paragraphs, and the sentence structure is choppy and lacks clear connections. It makes us sound like religious fundamentalists referring to scripture, no matter how much we may disclaim it. It is of no efficacy when talking to those who do not share our list of authorities. Such sources are often highly out of date, de-contextualised and hence inapplicable to the specific case. Potential examples that come to mind would include quoting Trotsky’s If America should go Communist in support of the gold standard or eugenics, the Communist Manifesto’s reference to the idiocy of rural life, or Engels’ passages from his correspondence to Kautsky regarding nationalism. Such arguments are best made in their own terms, if they are to be made at all. If one has the time to quote mine the classics for support, one has the time to analyse and articulate in one’s own words why a given position is to be adopted. On the other hand, arguing from the absence of support by an authority (Marx never said this) is the same problem in another form. The notion of logical rudeness was introduced by a paper by philosopher Peter Suber, and though it can be somewhat slippery, perhaps the most succinct definition of it is an evasion of a responsibility to answer criticism on the merits . There are multiple forms of logical rudeness, including the defence of a position on the basis that its critics are necessarily in error, the interpretation of criticism as an object itself of the theory (psychoanalysis), and so on. This form of rudeness, which Suber pins down to the notion of fixed belief is as common on the left as it is surprising. After all, Marx’s motto was de omnibus dubitandum, and his programme the ruthless criticism of all that exists, ruthless both in the sense of not being afraid of the results it arrives at and in the sense of being just as little afraid of conflict with the powers that be . Suber makes the case that some particular forms of logical rudeness are inherent to systems of thought. Psychoanalysis, for example, which resorts to attempting to deduce facts about the mind from small linguistic cues, is inevitably going to find the way criticism is expressed a matter of study. Marxist historical materialism itself will claim many disagreements about ideas are the end result of underlying material causes, such as class struggle, economic sectional interests, and so on. Logical rudeness is, then, not some sort of absolute indicator that an idea is incorrect or inapplicable. What it is, however, is a serious obstacle to being able to discuss the merits of the idea itself. Some degree of distinction in levels of discourse is useful here. While it may be true and appropriate to point out that a given position is held on the basis of a material interest, this fails to speak to the merit of the position itself. For instance, discussing the cause of the popularity of so-called Austrian economics within certain class segments, as Bukharin does on his Economic Theory of the Leisure Class does not absolve him from dealing with the substance of the theory itself, which he does. Another similar example is Marx’s speech on free trade, where he points out capitalists are supporting it for their own self-interest, but doesn’t fail to make an argument on the merits. On occasion, some statements are so transparently interested that it is difficult to stop oneself from pointing this out and address the substance of the claims. Politicians arguing for higher wages on the basis that only this way will competent people be lured from the private sector is one such example. An ideal communication strategy should focus on the conflict of interest in the statement, the fact that it’s a form of special pleading or an admission of incompetence itself (otherwise, how come that particular politician was lured without such incentives? ), but should not ignore the merits–or lack thereof–of the claim altogether. It’s also true that we can’t always address all positions on the merits. There are any number of reasons why it may be convenient to omit a discussion on the merit of some statements: time limits (internal or external), required effort, or lack of specialist knowledge, come to mind. The claim having been repeatedly shown to be false is an often good basis to dismiss it within given communities. Thus, I wouldn’t expect feminists or antiracists to have to defend from specious claims. Where this border lies is for communities to determine. In order to discredit the expectations of a revolution by the Marxians, we are frequently reproached with the statement that while we dearly love to prophesy, we are very poor prophets. –Karl Kautsky, The Road to Power, Chapter 2. As we engage in politics, and not–or at least not exclusively–poetry, we must grapple with reality, which for the purposes of this discussion could be well defined as those things that won’t go away when ignored.5 With imperfect information, bounded computation, and the occasional inaccurate model, sometimes the world won’t look like what we think it does or should. While everyone learns to deal with this situation in daily life (stubbing our toes on obstacles we forgot about, or looking for things we mislay) it seems when it comes to political matters perfection is required. This unfortunate tendency to seek a degree of precision we cannot obtain is understandable when we consider that the stakes are larger than a minor temporary bruise. If we can’t be certain of the effects of our actions and our policy mix, a sort of Hippocratic caution would recommend us to withdraw, so as to avoid inflicting potential harm. The problem of ethics in political life6 arises, for a consequentialist materialist movement as Marxism is, in taking actions for the sake of a hypothesis, with uncertain results. Anyone who participates in politics as an agent must reconcile themselves to the possibility–and eventual certainty–of error. Nevertheless, in politics more than perhaps any other area of human action, the appearance of infallibility is a precious asset, both to soothe our own misgivings and to convince others of the rectitude and clarity of our means and ends. Everyone would rather join the winning side. Thus, acknowledgement of mistakes usually comes late, grudgingly and only when it has become unavoidable. As a result, people find it difficult to accept evidence that goes against our own hypotheses. This is not necessarily and always the wrong response: when the scientists at CERN got measurements which indicated neutrinos could travel faster than light, they went with the model, rather than the data, and through the relevant investigation (or what some radical empiricist might call “compensatory hypotheses”) discovered the source of the error. Nonetheless, the least that evidence requires is that we acknowledge its existence, recognise the issues it causes for our models, and attempt to explain it or correct the problem in some manner. An example of bad reactions to evidence (though the specific messages won’t be quoted) comes from Marxmail, a mailing list for activists and scholars in the Marxist tradition. Someone quoted a study pointing out the physiological (and hypothetically innate) differences in brain functioning which gave rise to differing political viewpoints. This study, which was problematic in many ways (for example lack of evidence for a link between innate traits and the measured structural differences in the brain) was criticised on the grounds that its author had previously worked with scientists who held racist views. Whether this is indeed true or not, it is irrelevant to the validity of the evidence collected and to the causal or statistical inferences derived therefrom. On the same mailing list, its moderator, Louis Proyect, often engages in this type of (mis)behaviour, adducing some completely orthogonal political disagreement in order to question someone’s position on a different issue. Sections of the left are often guilty of this when it comes to sociobiology, evolutionary psychology, genetic engineering or nuclear power. This is not to say that the prevailing positions in these fields–or perhaps their very existence as science–are unassailable. They must, however, be attacked by showing the evidence to be false or misleading, or the inferences to be incorrect. If one cannot always carry out this work (and a degree of specialisation is often required for it) silence is often a better response than outright rejecting the evidence without a fair hearing. Some people are particularly sensitive to the structure of discourse. This is definitely no bad thing, and it is often very tempting, after we’ve seen a certain pattern many times, to base our judgement on its mere existence. This can happen on formal or material grounds, and it’s not always the wrong thing to do. The problem begins when those judgements are so firm that they treat anything else than the existence of the pattern as irrelevant. A: Communism is bad because Stalin killed people. A: Tu quoque! I declare victory! A: Communism, as compared to capitalism, is bad, because Stalin killed people. B: Capitalism kills people too, and therefore if communism is bad, it is at least not bad in comparison to capitalism, or not bad for this reason in particular. In the end, we could try to use boundless lists of qualifiers to make the thrust of our responses clear, but it would require far too much time and effort, and any reader in good faith ought to be able to deduce them from the argument’s context. Otherwise, we’d be better off throwing natural language out and discussing matters with predicate logic alone. While this might please the ghost of Leibniz, it would not prove particularly convenient. In the meantime, even if we try to be more careful, as we get to the qualifiers the other side has already shouted tu quoque and dismissed us out of hand. Another case of sensitivity to discourse applies not to the formal soundness of arguments, but to particular patterns in the content of responses. This sort of analysis has spawned a whole vocabulary to talk about certain arguing tactics, and it is certainly useful and indicative of problematic stances. However, the mechanical application of these patterns to dismiss a position can render some valid objections impossible to assert. For example, the so-called not all X pattern, most often in the form not all men, is indicative of a type of defensiveness that’s often unconstructive; but using this template mechanically deprives us of the capacity to bear in mind statistical considerations at all. Let’s consider a statement like atheists kill Muslims . Without making a disingenuous argument about existential and universal quantifiers–it’s clear the statement doesn’t mean all atheists do it–a response of the form actually, this is extremely rare; it is only a tiny minority of atheists who do this is all too likely to find a not all atheists as a counter. This is not very productive in accurately reflecting the likelihood of harm from atheists, or in distinguishing sources of harm to Muslims (though it makes for effective anti-atheist propaganda). Applying such halting conditions to discussion impedes our ability to analyse reality and learn from it, limiting our grasp of the issue to the level of catchphrases. Similar considerations apply to the notion of intent, or context, not being magic. As a matter of fact, the opposite notion–this is to say, that intent is magic–doesn’t seem to be commonly held.However, intent and context are far from irrelevant when communicating, analysing or criticising statements or positions. Discoursive statements don’t have an independent life of their own, but arise in communication between people, and definitely come stamped so to speak with a given context and intent. It matters to know what context and intent are, because it matters to know the mental state of an interlocutor, and the information which they attempted to transfer. Becoming indignant about specific discoursive moves saves the effort of engaging the underlying factors at play, but it also forecloses the opportunity to address the interlocutor effectively. Such a reaction can be productive sometimes, when the other person is receptive, but using it in other cases is substituting moralism for tactics. Some people (like Comrade Bukharin) are so happily constituted that they are incapable of injecting venom into their attacks even when the fight is bitterest; others, less happily constituted, are liable to do so, and do this all too often. We have inherited a textual polemic tradition from Marx, among many other founders of the socialist movement, which leaves very little ground for polite disagreement. Whether due to historical, philosophical or political reasons, the fact is Marx, Engels, Kautsky and Lenin didn’t think much of keeping criticism kind and constructive. Their private correspondence, perhaps justifiably, is even more blunt. As a result, many people who have learned their norms from this textual corpus tend to engage in similar excesses. I will quote only a few examples of this tendency in action. Lassalle knew the Communist Manifesto by heart, as his faithful followers know the gospels written by him. If, therefore, he has falsified it so grossly, this has occurred only to put a good colour on his alliance with absolutist and feudal opponents against the bourgeoisie. In the above paragraph, moreover, his oracular saying is dragged in by main force without any connection with the botched quotation from the Rules of the International. Thus, it is simply an impertinence, and indeed not at all displeasing to Herr Bismarck, one of those cheap pieces of insolence in which the Marat of Berlin deals. Of course, Kautsky the socialist and Marxist is profoundly indignant at the idea that such a measure should be extended beyond the environs of the large towns (and we have extended it to the whole of the country). With the matchless, incomparable and admirable coolness (or pigheadedness) of a philistine, Kautsky the socialist and Marxist sermonises: “It [the expropriation of the well-to-do peasants] introduces a new element of unrest and civil war into the process of production”… (civil war introduced into the “process of production”—that is something supernatural! )… “which stands in urgent need of peace and security for its recovery” (p. 49). Bernstein’s theory was the first, and at the same time, the last attempt to give a theoretic base to opportunism. It is the last, because in Bernstein’s system, opportunism has gone – negatively through its renunciation of scientific socialism, positively through its marshalling of every bit of theoretic confusion possible – as far as it can. In Bernstein’s book, opportunism has crowned its theoretic development (just as it completed its practical development in the position taken by Schippel on the question of militarism), and has reached its ultimate conclusion. Now, After these quotations it must be made clear that Lasalle, Hasselmann, Kautsky and Bernstein weren’t necessarily right (in fact more often the opposite) and they were themselves not exempt from this tendency to argue through personal invective. The point we’re attempting to make is primarily about the form, and not the content. These works could have expressed an equally sharp criticism of these positions without making it personal.7 The fact is political questions are complicated. People may find themselves in different sides without moral culpability, evil machinations, or impaired reasoning powers. Sometimes it is a matter of ignorance, and it can be corrected through learning; and other times it is a question of different terminal values. There are occasions when the existing data admit several valid interpretations. Even in cases where one has reason to suspect there are spurious interests for a position, it is worth considering whether resorting to rudeness, hyperbole and personal attacks is the correct tactical stance. 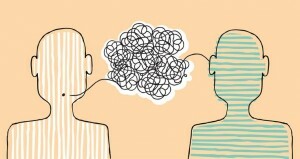 When engaging in dialogue, we’re hopefully seeking to arise at a better position through synthesis, but even in those cases when the positions are irreconcilable and we know our interlocutor to be entirely in the wrong, one should attempt to gauge the effect of our statements on non-participants or observers. The liberal belief that there is a bit of truth everywhere and we must find the compromise and avoid extremes is wrong, but it is sometimes pragmatically useful to make those concessions we can make inasmuch as they mark us as the reasonable party in the mind of other listeners. Tactical fluidity is what we’re attempting to convey: depending on the audience we are seeking to influence, an impression of uncompromising strength may be more or less useful than the reasonable willingness to argue in good faith. Doing only one or only the other for principled reasons is ineffective. Furthermore, reducing the amount of aggression present in discourse can help those people who find such manifestations troubling, because of their particular reactions to fighting words, which is not uncommon in those who have been victims of violence. If our discourse makes people on our side shut down, it limits our ability to build an inclusive project where people can express themselves without fear. This matter of sensitivity to disagreement is linked to the issue of so-called tone policing. The argument is made that calls to seem calm, reasonable, etc, are tactics from the powerful to silence the powerless. It’s undeniable that formal requirements of this sort are used to that end in some contexts. It makes it much easier to dismiss a whole class of arguments without even assessing the contents, when they come in the wrong packaging: too loud, too emotional, too unsophisticated, etc. However, it should have become clear by now that the thrust of this essay, the central axis along which it is organised, is the improvement in effective communication and argumentation. This requires us to, as much as possible, address things on their merits, and not on their presentation. To say that excessive rudeness or hyperbolic statements can be tactically unsuitable is not to dismiss the arguments, to attempt to forbid people from making them, or to state that it’s an exclusive right of the powerful to speak as they wish. It’s merely to call for an assessment of efficacy when someone makes them. There is little point in telling someone off for saying “kill all men” when they are arguing with a chauvinist. That only gives the chauvinist cover. There may be some merit in asking people to ponder whether that class of statements is productive in what they are doing. In some cases it is: shocking people and changing the roles of who is threatening and who is threatened can be useful for both (to empower those who are ordinarily threatened and open the perspective of those who are ordinarily threatening). In other cases, it can close the opportunity for understanding. Effectiveness depends on our ability to distinguish these cases. The claims of science have been relativised by events: the scientific discovery of certain limits of inquiry in the common interpretation of quantum mechanics,8 or the post-newtonian understanding of space and time have brought a certain form of subjectivity (quantum collapse, frame of reference). Other developments, such as the uses to which science (or its name) were put to, have further tarnished its good name (nuclear weapons, eugenics, scientific racism…). Philosophically, the rising of a postmodern sensibility focused on particularity and mental phenomena rather than the objective world, has contributed to a state of affairs in which science is a contested system and its use a contested good. The rising of feminism as a movement and consciousness-raising as a method have further confronted scientific socialism as a total worldview. There’s nothing in science which renders it immune from class distortions (or other forms of systemic biases related to gender, race, etc). The closer a topic is related to social life, as opposed to a matter of purely external phenomena, the more likely it is that such distortions will creep in. So why insist on the preference for data rather than the personal narrative? The problem lies in communication. We’ve all been moved to act by the words people say about their own experiences. It would be strange if we wouldn’t listen and take them seriously.9 However, resorting to individual lived experience presents us with the fact that it is inevitably particular and fragmented. People have many different subjectivities, and it becomes difficult, if not impossible, to consider policy–hence to think politically–on that basis alone. Objective data cannot capture the whole of human life. The advantage, however, is that they are entirely communicable. One doesn’t need to make the claim that science is the only source of knowledge, to admit that, generally speaking, knowledge which arises from other sources is much more difficult to ascertain and transmit between people. The constraints which compel science to operate on phenomena for which no special qualification has to exist, but which can be perceived (whether directly or through mediating instrumentation) by any individual, also make scientific knowledge reliable and verifiable. For good or ill, the same cannot be said of other ways to attain knowledge, including personal experience. In order to communicate effectively, it is then necessary to use those means which can best transmit the information. In many cases, a personal tale can be a very useful way to communicate some of these aspects. However, when attempting to build policy, often more is required. How generally applicable is the tale? Is it complete and accurate? (People are notoriously bad at accurately remembering and reporting events.) What if there is another tale which contests it, how do we choose? Very often people find such personal tales more meaningful and involving than statistical datasets. Isn’t this evidence that more effective communication should take place through lived experience primarily? It is undeniable that people are much more often moved by a narrative than by a statistical model. The take from this is not that all communication based on personal narratives should cease, but that when attempting to communicate and think about policy data are preferable, because they allow us to construct robust arguments and answer the questions above: general applicability, confounding factors, etc. Lived experience can and should be used as a starting point in research, and a fulcrum from which to establish empathy and trust. After that, in order to assess the situation at a systemic and social level, more is required, and then data are irreplaceable and precious. Throughout this essay, we have attempted to point out some ways in which our political activity is less effective than it could otherwise be due to shortcomings in the way we communicate. The object of it is to reflect tactically on communication, what it’s for, what it’s supposed to do, and how it can be best accomplished. The object is not to censure or forbid certain forms of communication, but to give ourselves some parameters to judge the opportunity of their use. Is it factual and true? Is it endearing or agreeable to others? Bearing in mind these ideas can, we hope, help us gauging what to say, when, and to whom. Given how little time we get to send our message or tell our story, it would be good if we could make the most of our opportunities and obtain the best results from our limited resources. Does democratic deliberation change minds? Modulus is an unaffiliated Marxist from South Western EU (Spanish state). He studied computer science and law, and is at present preparing for civil service exams for the Spanish administration. An avid IRC user, he enjoys arguments and will occasionally play devil's advocate. He regards himself as orthodox and is concerned about unscientific attitudes on the left on such things as nuclear energy, biotechnology, and so on. His support for the European Union as a platform to unify the class struggle across the continent has earned him plenty of strong opposition, and doubtless will continue to do so; until, that is, his view is vindicated by history. This entry was posted in Critique of the Left, Politics, Proletarian politics. Bookmark the permalink.